At Isagenix®, we want you to be an educated consumer. 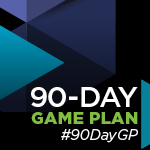 Check out the amazing tools we have available for you to share the science and nutrition behind our products and propel your 90-Day Game Plan success! When you become a product of the product, it’s easy to share your success story with others and inspire them – from your heart to theirs – to start their own journey of personal transformation. To help you focus on changing lives by connecting with others, Isagenix provides an abundance of resources to tell the story of what our products do and how they do it. Isagenix employs a world-class team of scientists and nutritionists to ensure that our innovative products are supported with strong science and research. Everything we do is designed to integrate simply and seamlessly into people’s lives. All of these tools are available to anyone, anytime – not to mention that they are FREE and easy to use! We are launching something big on November 1! Stay tuned and don’t miss this announcement. It will be a game changer for your Isagenix business. We can’t wait to share more details with you! Stay up-to-date on your IsaDerby Hawaii progress, any time! Just log in to your Back Office. Once you’ve logged in, click the ‘Contests & Promotions’ tab and choose ‘IsaDerby’. From there, you can always find the full contest rules and check your progress. Don’t forget – IsaDerby Hawaii leaderboards are updated every Wednesday. Check them out now at ANZ.IsaFYI! Quarter 4 of the Holiday Bonus Pool runs through to November 22. Don’t miss your chance to earn! November Leadership Pools commenced on Monday 26 October and will be closing Sunday 22 November. Are you earning in the Director Leadership Pool or the Executive and 2 Star and Above Leadership Pools? Keep up to date on ANZ.IsaFYI for your 90-Day Game Plan updates and more!